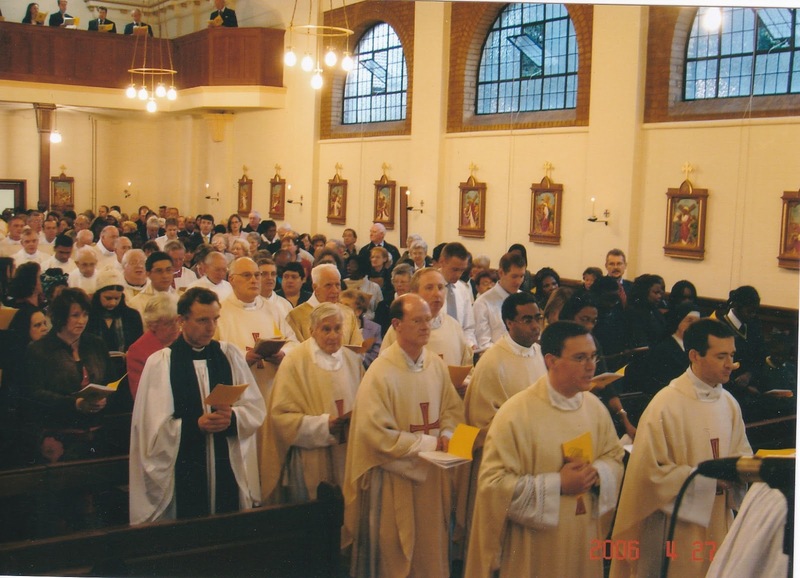 St Bede's Centenary 2006; Fr Marcus Holden (new Parish Priest of St Bede's) leading the procession followed by Fr Philip de Freitas, Fr Hugh Simon-Thwaites, SJ, Mgr Leo White, Fr Stephen Boyle, Canon Devane, Fr Michael Creech, CSsR, etc etc. Fr Christopher Basden, born in Egypt in 1952 of a Texan Baptist Father, working for Mobil Oil and an English Catholic Mother (Glencross). He lived most of his young life in Iran (Persia); Khuzestan (Elam 1957-1967) and Tehran (1967-1971). He was educated, among other places, at the Salesian College in Beirut and Georgetown University, Washington D.C. where he studied History and Theology. 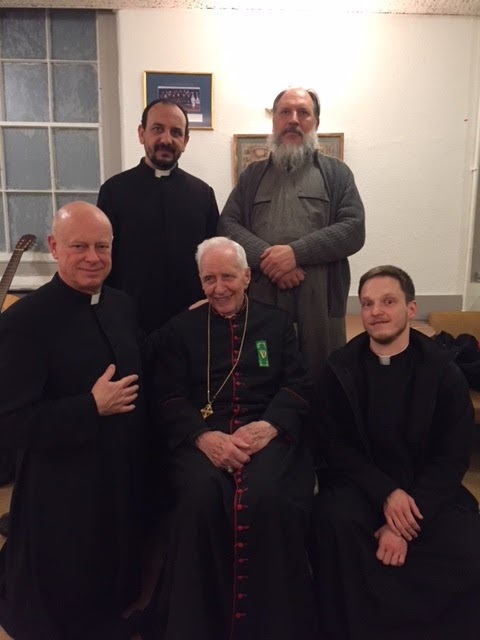 After an experience with the Monks of Parkminster, he prepared for the priesthood at St John's Seminary, Wonersh and was ordained at Sacred Heart, Wimbledon on December 15, 1979, by the Most Reverend William Barden, O.P., Archbishop of Isfahan of The Latins (whom he had known as a child in Persia). Fr Basden served in Ashford, Welling, and Maidstone, all in Kent, and was in the USA from 1993 to 1994. He was appointed to St Bede's in September 1994, succeeding Fr William Dinan where he has been ever since excluding 2013-2014 when he was on a sabbatical in the Middle East. Fr Przemyslaw Zgorecki, born in 1986 in the City of Poznań situated in western part of Poland and has 1 brother. He was ordained in 2011 in the Archdiocese of Poznań. Since then he has been an assistant priest in Swarzędz, Poznań and Pruszków near Warsaw. Currently, he is doing his PhD in philosophy at Cardinal Wyszyński University in Warsaw. 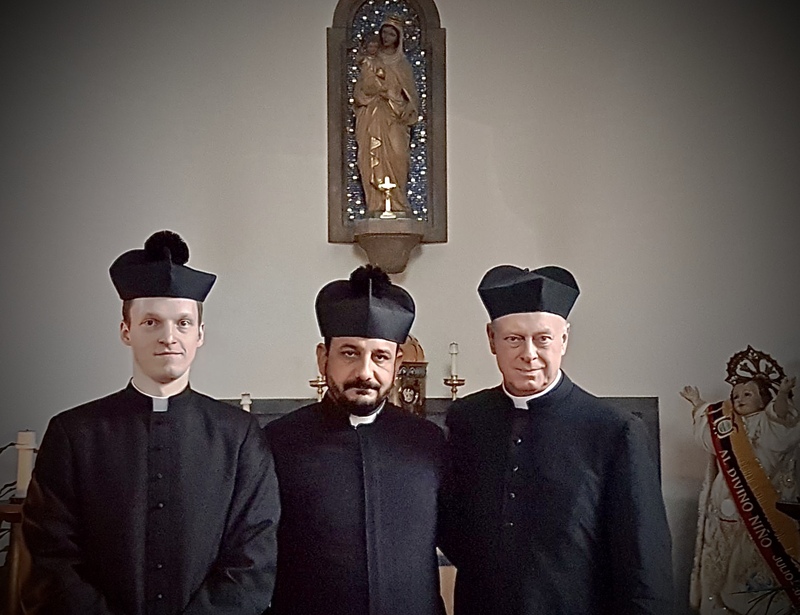 Fr Przemek has returned to Poland 30th July 2018. Fr Romany Fathy Samaan Shenouda is from Coptic Catholic Eparchy of Sohag (Lycopolis) in Upper Egypt. 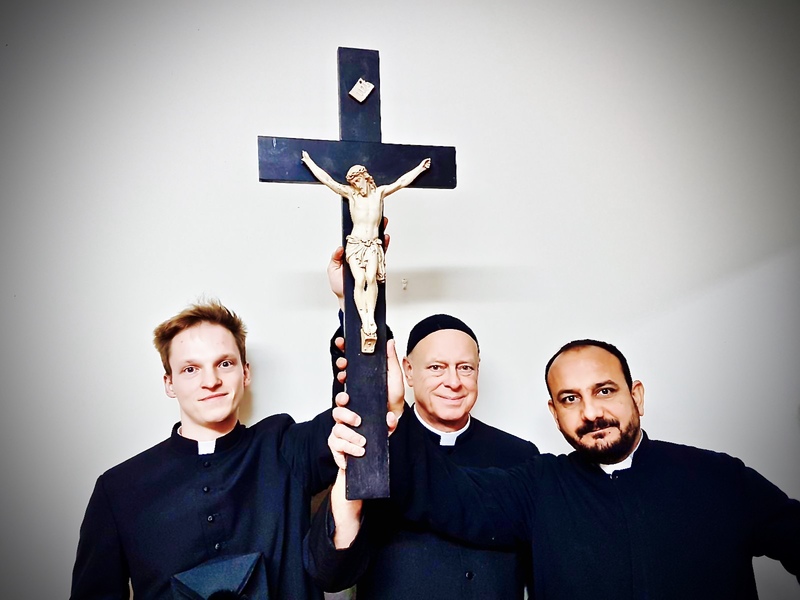 He was born in 1979 in Tahta which is a very special place in the history of Egyptian Catholicism where the Franciscans reestablished a mission in union with Rome in the late 17th Century. Later the Coptic Catholic Seminary was founded there in 1898 and Fr Romany was one of the last priests to be educated there. 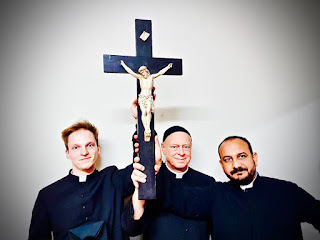 He finished his formation in the Major Seminary in Maadi in Cairo. He was ordained on 15th February 2005 in his home village in El Makhalfa, near Tahta which is entirely Catholic. Fr Romany has been in many parishes and was responsible for the remarkable achievement of building a new Church in Galawaya (in which St Bede's had a small part to play and at which fr CB attended the Consecration in February 2013). He was Diocesan Youth Chaplain for 5 years, Chaplain of The Legion of Mary and initiated Sohag's Handicapped Fellowship. He hopes to be able to offer Mass in Arabic in both Coptic and Latin Rites. Monsignor Leo White, Prefect Apostolic, born in Malta in 1929. He was educated at St Joseph's Beulah Hill and in the Capuchin houses of formation. He was ordained in 1956 and then served from 1960 to 1968 a Capuchin Franciscan Friar in Columbia. After several other apostolates including being Naval Chaplain in Valetta, he went to Kenya in 1969 and built up the Diocese of Garissa on the Somali border, where he was a member of the Kenyan Bishops' Conference before heading to America in 1984 where he was incardinated into the Diocese of Brooklyn later that year. He returned to the UK 10 years later to serve at St George's Cathedral, Southwark. He was part of the clergy team at St Bede's parish from 1997 until 2001, when he retired. Since that time he has maintained close links with St Bede's having moved back here in 2017 and is the Chaplain to our UCM group, saying Mass for them on Thursday evenings. He also maintains close links with the Latin American community whose Saturday evening Mass he founded over 20 years ago. Mgr Leo passed away at the end of July 2018. Fr Gabriel Diaz Patri, born in Buenos Aires in 1961 and was educated at the Catholic University of Argentina studying Philosophy. He entered the Diocese of San Luis headed by the famous Bishop Juan Rodolfo Laise who kept his Diocese and Seminary uniquely stable in a time of tumult, attracting many vocations. He is now in retirement in San Giovanni Rotondo. 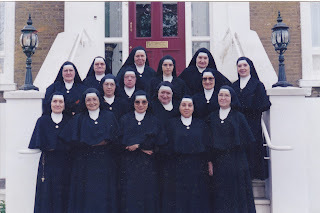 Fr Gabriel was ordained on 18th August 1991. He was then appointed Chancellor of the Diocese and Episcopal Vicar for Education and was a professor at the Seminary teaching Latin, Philosophy and Liturgy. He was asked to go to Paris in 2003 to be the Parish Priest of the Russian Catholic Parish there which uses the Byzantine Rite which was founded in the wake of the Russian revolution amongst 'emigres'. For 10 years, Fr Gabriel headed this community and since that time has continued his work as a researcher for the National University of Cuyo in The Argentine. His work has focused on the comparison and development of both Eastern and Western Liturgical Rites. After living in Oxford and Bedford, he is now making his base at St Bede's. Fr Andrew Southwell, born in Edinburgh Scotland in 1962 and was educated at Downside Abbey, Louvain, in Belgium, and the Angelicum in Rome. He was professed a Benedictine monk at Farnborough Abbey and was ordained a priest there in 1990. He was one of the founders of the traditional priory at Alton and came to St Bede's in March 1997. Succeeding Fr Hugh Simon-Thwaites, S.J, he largely responsible for successful building up of the Latin Mass Community here and was the national Chaplain to the Latin Mass Society of England and Wales. He is also the chaplain to the Saint Catherine's Trust, which runs monthly family days at St Edmund's Ware, a family retreat every Passion Week, and an annual Summer School. Presently he is working on his PhD in Spiritual Theology in Rome, focusing on St Catherine of Siena's treatment on the Sacred Priesthood. Since its foundation in 1906, St Bede's has had many vocations to the priesthood. In most recent years, Fr Philip de Freitas was ordained here in 1998 and Fr Tom Lynch, a former server said his first Mass here in 2014. 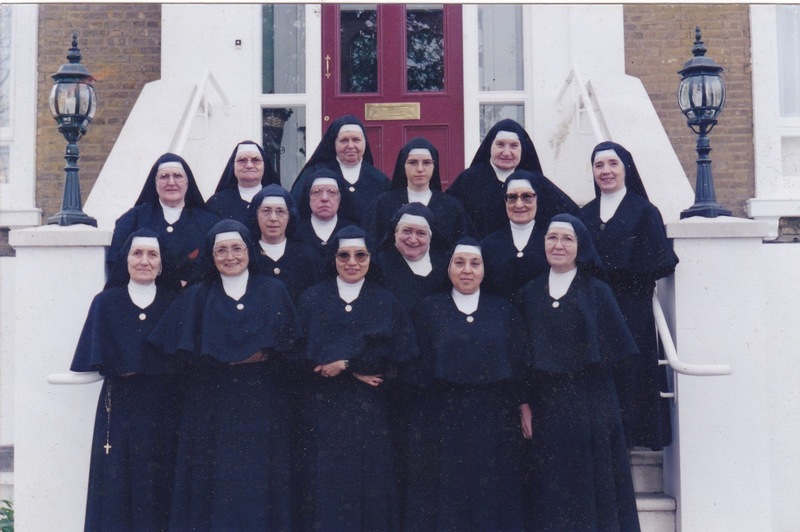 The Handmaids of Mary came to the parish in 1998 (after the La Retraite Sisters had been here since 1880 having many vocations from St Bede's parish). 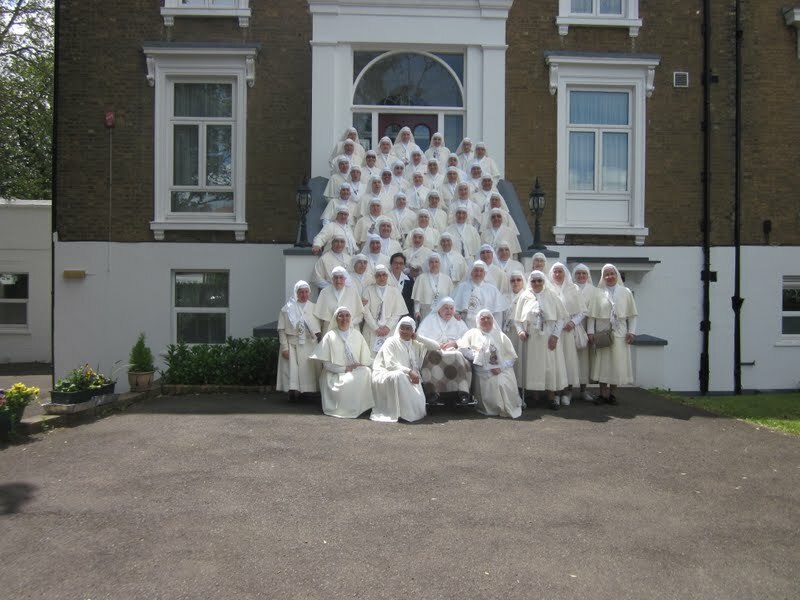 In 2015 some of our clergy went to the Mother House of the Handmaids of Mary for the first profession of Sister Carol Cardenas whose whole family was one of the first supporters of our Latin American Mass. She was educated at our high School of La Retraite. 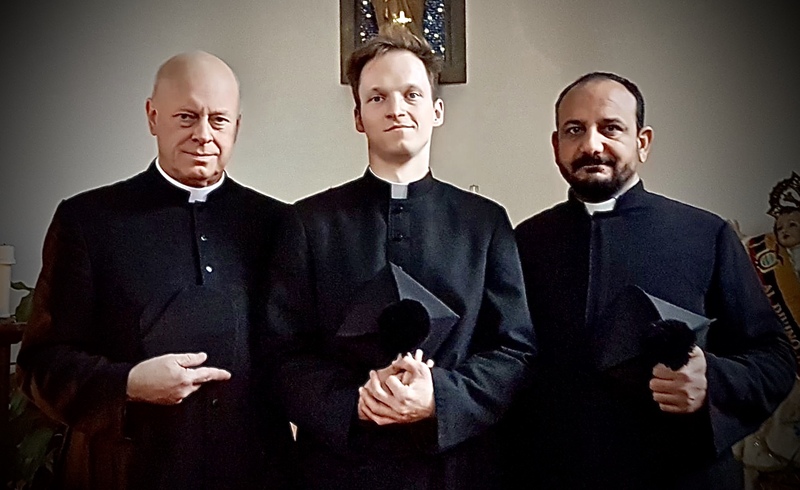 St Bede's parish has developed a strong tradition of welcoming priests and has a link with the missionary centre for formation in Warsaw, which has sent thirteen priests since 1995 to St Bede's to learn English and to prepare for the missions. Other links have been with the University of The Holy Cross in Rome, the FSSP, Fr Armand De Malleray (2001-2004), and the Institute of Christ the King. 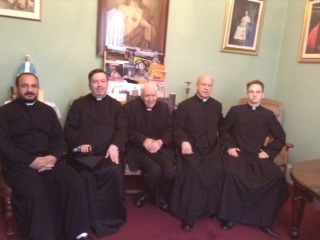 Fr Raul Olazabal (1998) which both owe the genesis of their English foundations to the parish of St Bede.